What Will The FFVII Remake Look Like? Last month we Square-Enix announced something that most of us thought would never actually happen: a true remake for Final Fantasy VII! We’ve been asking for it since the PS2 days, and now it’s finally happening! If you’re at all like me though, you probably haven’t thought much beyond how awesome a remake for Final Fantasy VII would be. It is happening and it is awesome, but what would a modern remake of a game from 1997 actually look like? Big budget games are very different from what they were 18 years ago, and Final Fantasy itself has seen some dramatic changes as well. With that in mind, it’s probably safe to say that this new game will be fairly different from the much beloved classic. So it’s really not a question of if it will be different so much as it is a question of how it will be different. I believe that what we’re going to see with this remake is what Final Fantasy would have been if it had been made today, albeit with a couple of notable exceptions. It’ll probably start with re-orchestrating the soundtrack and fully voicing the characters in the game. Orchestrated music has been a standard practice for years now, and most non-mobile games opt to voice their characters rather than rely on speech boxes. Another logical change would be fully modeling the environments and adopting a 3rd person perspective a la Crisis Core or even Final Fantasy XIII. It’s true that the pre-rendered environments were a large part of what Final Fantasy VII was, but that was an element that seemed born of necessity more than anything else. Now that we’re far removed from the technical limitations of the PSOne and they’re going through the trouble of doing a full remake instead of a remaster, I don’t why they wouldn’t do this. It’s what we’re all used to now, what they’re now used to making. I also see some sort of departure from the old battle system as well. It’ll most definitely be something new, and probably something that’ll feel more action-oriented but retains some of the unique aspects of FFVII’s battles. That is if their recent efforts are anything to go by. This will also be the very last visit to the world of Final Fantasy VII, so we’ll see the characters and side-stories get a bit more fleshed out as well. This is only what I see them adding and updating though. Looking forward to checking this place out from a new perspective! Not everything from 1997 can translate well into a game made into 2015, so we’ll probably see a few things get left behind. For starters, Final Fantasy VII had quite a few one-off mini-games sprinkled throughout its 3-disk campaign, and I’d bet money that these will be the first things to go. In fact, the only ones I believe will be retained in the final product are the Midgar motorcycle chase, and the Chocobo race from the Gold Saucer. The former because it was the climactic conclusion to the first act of the game, and the latter because it’s probably the most well-known mini-game from FFVII and because they’d need you to be able to do something fun with the chocobos you raise. I don’t think we’ll be seeing random battles return either. They made sense back in 1997 when we were operating from a top-down perspective and the hardware limitations pretty much prevented them from having enemies show up on the map screen. Without those technical limitations and with a 3rd person perspective, random battles just wouldn’t make very much sense. I foresee something similar to Final Fantasy XIII’s encounters, where you’ll actually see the enemies on the map and have the option to avoid them. This is all just speculation of course. They may (and will) change/add/remove much more than the few things I’ve mentioned here. These are the changes that make logical sense to me, and the ones I believe are the most likely to happen. 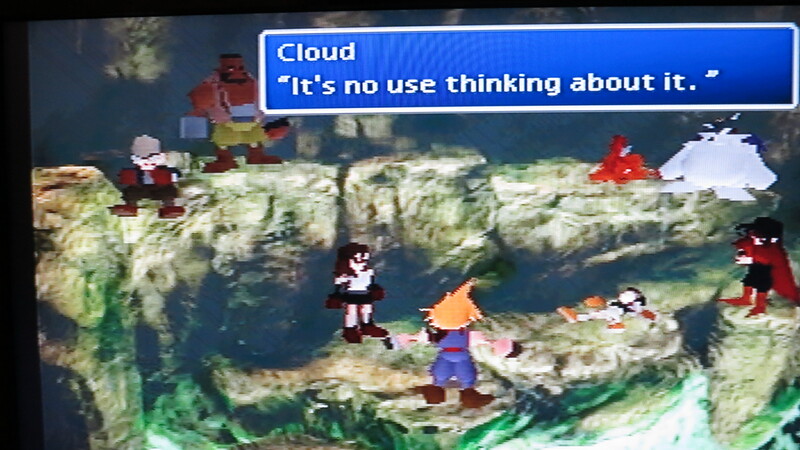 Final Fantasy VII was a great game, exceptional even, but it wasn’t perfect. It wasn’t perfect back in 1997, and if we’re being fair it’s probably even less so by most standards today. I completed a fresh run about a year ago (finally), and I can say that even though I loved the game, there were definitely some elements to it that I didn’t like. So personally, I’d be all for losing the mini-games, change in perspective, and fully rendered environments. It would be a real treat to see all those familiar locations from a new angle, and even get to explore them a little bit more since the perspective change would require some additional spaces to be added. Also, most of those mini-games were either annoying (just throw me on the beam you stupid porpoise!) or just came out nowhere (why do I suddenly have to go snowboarding again? I thought we were here to save the world). I’d also say a happy farewell to random battles and to the hours of material grinding along with them. What can I say? I really don’t like random battles. Also, while more time with the party members and side-stories would be nice, I actually wouldn’t want to see too much more. In the original games, we actually got a pretty good look at what is motivating each of our protagonists and antagonists. I feel like we learned everything that we needed to about them, and that got further expanded in the other “Compilation of FFVII” games, is there really that much more that we need to know? If they were to expand on anything, I’d like to see them expand on the lore and give us more information about the world we’re in. For example, what was up with that war against Wutai? We never did really learn what it was fought over or what started it, only that it happened and Wutai lost. Most of all, I’d rather not see any major changes made to the battle system. It was clunky in some places to be sure, but I found it to be pretty fun up until I had to do material grinding. Going through the motions of combat is never fun. Even if they do decide to rebuild the battle system from the ground up, I hope they’ll at least retain the Materia system. It added depth to the character building and combat that somehow managed to be both complex and accessible, though a better in-game explanation of how it actually works would be nice. Supposedly a fair amount of the original Final Fantasy VII team is working on the remake, so we can feel reasonably assured that they’ll be doing their best to retain the spirit of the original as they craft a fresh take for us to enjoy. I just think that it’s fun to speculate on these sorts of projects and try to figure out what’s likely to happen. Will any of these predictions prove correct? I suppose only time will tell. How do you think they’ll handle the Final Fantasy VII remake? What would your ideal remake look like? I am so excited about this game. I’ve been meaning to replay FFVII, but now I think I’ll wait for the remake. I do hope they don’t change the battle system too much, as I preferred it far more over the battle systems they use nowadays. I do hope they get rid of random battles, though. Those are so frustrating. I’m mainly excited just to see the characters looking more like they did in Advent Children. 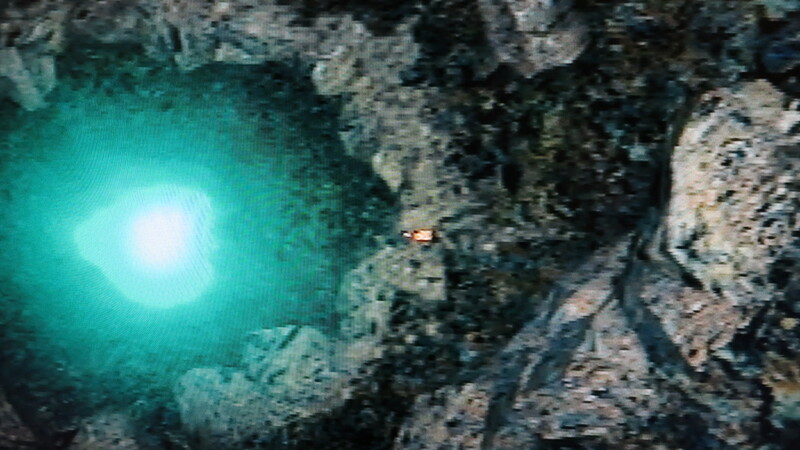 As confusing as that movie was, the graphics were still pretty great. I feel so far removed from FFVII that, to me, the remake feels like it’ll be a whole new game. That picture, though, reminds me of how…errr, not great that original graphics were. So an upgrade on that front would be welcome. Other than that, hopefully they won’t mess with the original game’s mechanics too much. Nothing was particularlt broken, so hopefully there’s not much to fix! Indeed. Hopefully Square Enix is aware of the rabid fanbase that might not take too kindly to a poor remake. The Golden Saucer was a major portion of FFVII, so I doubt they’re going to cut the more memorable parts of it. Airship travel though…I suppose it depends on how they handle the world map if it’s even included. Hopefully they’ll be willing to share more details as production gets underway.